Very Easy Physical LevelMinimal walking. Motor vehicles for all major parts of trip. Wheelchair friendly (check for individual trips). Most cruises. 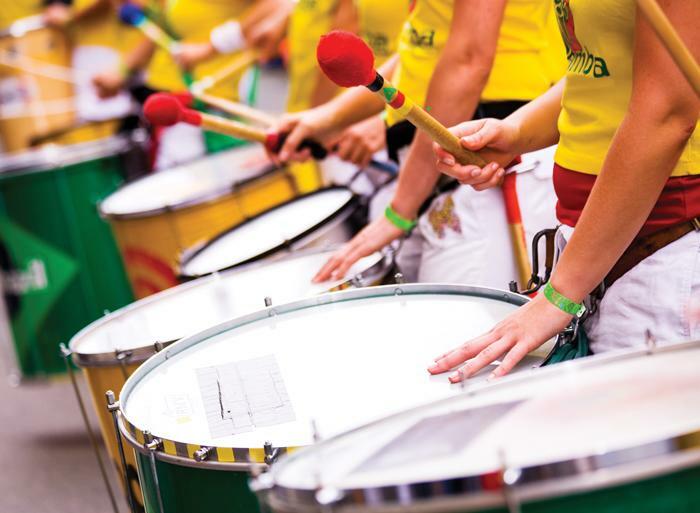 Fancy dancing samba in the street from dusk 'til dawn? There's no greater party on earth than this iconic festival of Rio de Janeiro, so focus on perfecting those saucy samba steps. Join the conga line, move and shake in the drum-fuelled street parties, witness the festivities reach their dizzying climax and get swept up in this magic celebration of life. This is the ideal extension to any South American trip or a great adventure in its own right. Sign up for the party of a lifetime and join the spectacle of Rio Carnaval. Guides All Intrepid group trips are accompanied by one of our group leaders. The aim of the group leader is to take the hassle out of your travels and to help you have the best trip possible. Intrepid endeavours to provide the services of an experienced leader however, due to the seasonality of travel, rare situations may arise where your leader is new to a particular region or training other group leaders. Your leader will provide information on the places you are travelling through, offer suggestions for things to do and see, recommend great local eating venues and introduce you to our local friends. While not being guides in the traditional sense you can expect them to have a broad general knowledge of the places visited on the trip, including historical, cultural, religious and social aspects. At Intrepid we aim to support local guides who have specialised knowledge of the regions we visit. If you were interested in delving deeper into the local culture at a specific site or location then your leader can recommend a local guide service in most of the main destinations of your trip. During Carnival, you may be joined by up to 140 fellow travellers however the group will be split into smaller groups of up to 24 for included activities, with a leader assigned to each group. Rua Cruz Lima, No 30.